I'm linking up with Jenny from Art with Jenny K! I read some of these stories, and found them so interesting, I just had to join in! I know my story isn't quite as interesting as the others I've read, but why not! The above image shows my logo as it appears today. It didn't start that way! 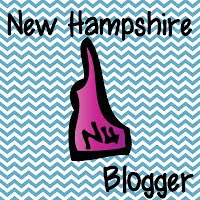 When I first started blogging in August of 2011, I used a free background from Blogger. (I wish I had saved a copy of what the blog looked like back then!) I had someone develop my first logo. It looked like this. I loved the little kiddos and the primary colors! I spent a lot of time coming up with a name. Once I had done a play with my students called "Character Matters" I liked the play on the word "Matters". 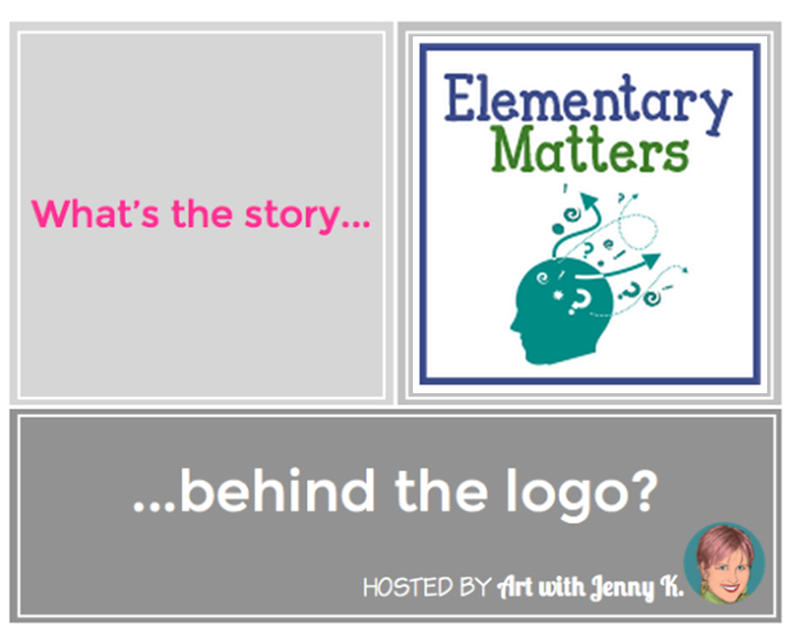 I tried "Matters" with several words until I settled on Elementary Matters. I knew I wanted to have children in the logo, since that's what I'm all about. 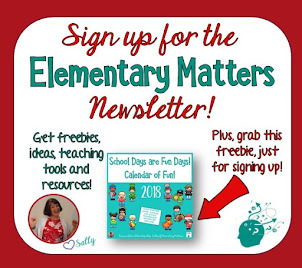 After a while, I wanted a more professional teacher look to my blog. I went to Honey Bunch Designs, and was thrilled with what they came up with! The most important part of my blog is my interest in the brain, which was represented nicely on the header. It had the kids, it had the active brain, and it did the trick. After a while, I was due for a new look. I decided to ask PJ's Design Laboratory. The most important thing to me was the "brain" part. I'm sure I'll redesign again, since I often like to spruce things up, but I'll keep this one for a while! 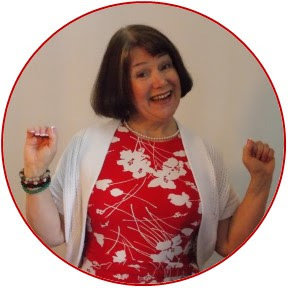 It's so fun to read about others' blog designs! Love it! Thanks! It's time for you to link up! I love your logo! It suits your blog so well! Thanks! I like to think so! I just love reading all of these stories...thank you for linking up and sharing your story. The evolution your logo has been through is just awesome--I LOVE your current logo and always recognize it when I see it! Thanks Jenny! What a great idea for a linky! I'll be anxious to see what you come up with! It was so interesting seeing the development of your logo, the idea is really clever - love it!